Attendance at IEP team meetings to ensure legal compliance with IDEA. Attendance at Section 504 team meetings to ensure legal compliance with Section 504. Attendance at both IEP team and Section 504 team meetings to hold your school district accountable for providing appropriate services. Expert file review to ensure that your child’s IEP or Section 504 plan provides the services necessary for your child. Monitoring of the implementation of IEPs and Section 504 plans through data review to ensure that your child receives the services promised by your school district. Resolution experience to ensure that your child, through pre-litigation mediation, is offered appropriate services. Litigation experience to ensure protection of your family and its rights in the event that your school district has failed to comply with IDEA and Section 504 regarding your child. Assistance with filing complaints with the Georgia Department of Education (GaDOE) as well as complaints filed with the Office of Civil Rights (OCR). Attendance at Manifestation Determination Reviews to ensure that student discipline measures implemented by school districts do not violate your child’s rights. At times, disputes as to the law and educational programming cannot be resolved during the course of the IEP team or Section 504 team meeting process. Employees of The Kline Law Firm, LLC, have participated in over one hundred mediations. We offer a cost-efficient and effective approach at resolution in the event that educational disputes between your family and your school district require further negotiation outside of your family's IEP or Section 504 team meeting. When special education matters cannot be resolved through IEP team and Section 504 team meetings or mediation with your school district, The Kline Law Firm, LLC, has the expertise and experience to represent your family in the courtroom. Mr. Kline has litigated multiple special education cases at the administrative level, in United States district courts, and before the Eleventh Circuit Court of Appeals. Should you have concerns regarding your child's educational programming, the provision of FAPE, and/or discrimination and you wish to address those concerns with the Georgia Department Of Education (GaDOE) or the Federal Office of Civil Rights (OCR), the employees of The Kline Law Firm, LLC, can assist you. 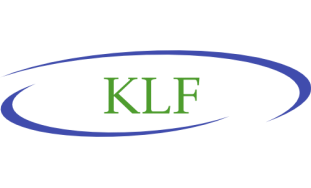 The Kline Law Firm, LLC, has the expertise necessary to file complaints on your behalf with these agencies.